Make the world a better place with InsurTech and Blockchain. iChain, Inc.
With "iChain Insurance Wallet", you and your families can quickly contact insurance companies to make claim and get benefits if you have an accident. 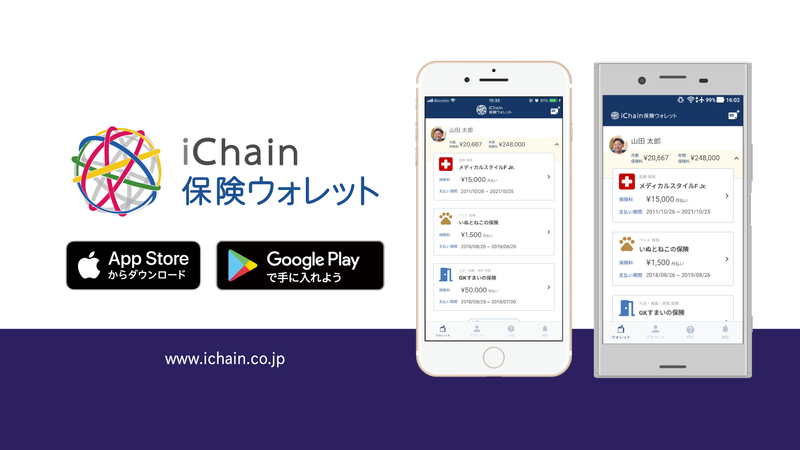 iChain is Japanese leading InsurTech startup that innovates the insurance industry based on Blockchain Technology. "iChain Base" is an insurance business platform for insurance companies. It is an environment where security and reliability are secured by storing insurance policy information on the blockchain. 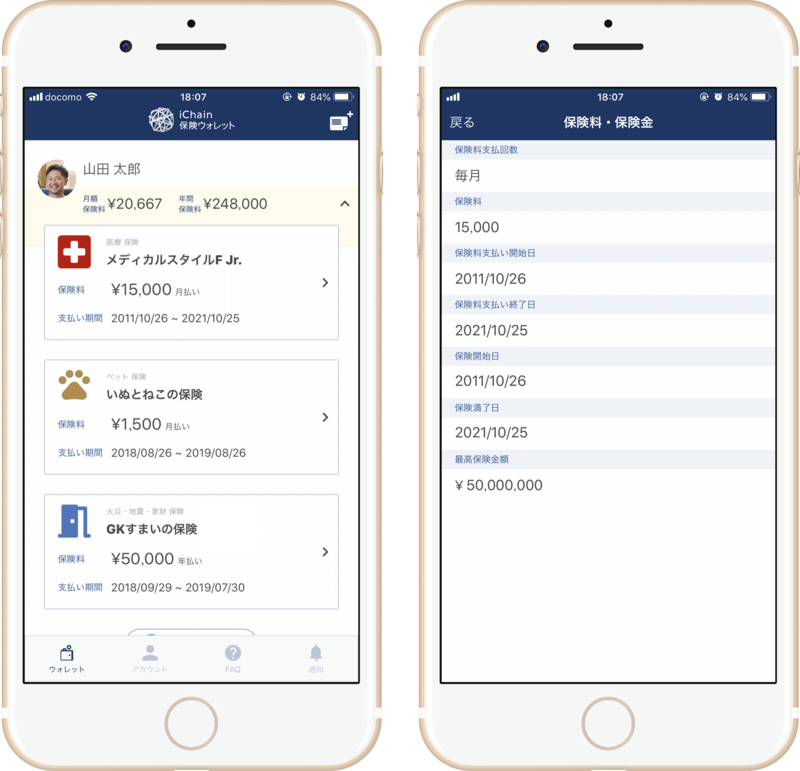 iChain cooperate with insurance provider's core system and API to provide insurance policy information to policyholders through "iChain Hoken Wallet". iChain will make it possible for individuals to manage insurance policy which has been done on paper basis so far by smartphone.iChain realize the world view "Make the world a better place" that can claim insurance claims without hesitation. 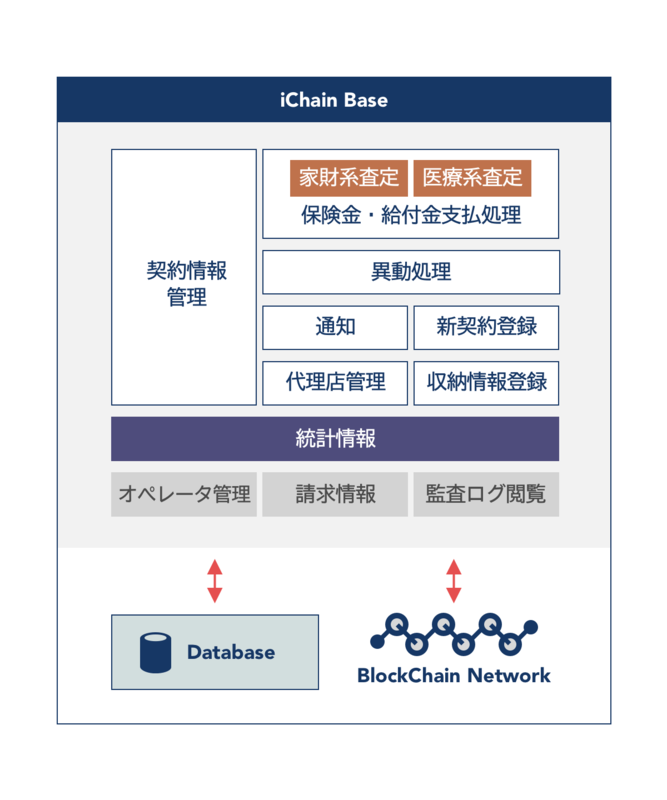 For insurance companies, we are promoting transformation from insurance provider's mainframe to distributed technology centered on Web, using iChain Base, a block chain-based insurance policy management and insurance payment process management platform To go.